We all know about the dangers of nicotine to humans, and from childhood heard the phrase that only one gram of nicotine kills a horse. Cancer and cardiovascular diseases occur in smokers more often. 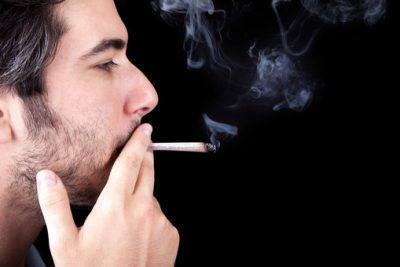 Smokers quickly deteriorate teeth, aging skin. In this article, we discussed nicotine poisoning, causes, symptoms and treatment of this pathological condition. Nicotine intoxication may occur for many reasons. It is particularly dangerous critical condition that requires immediate medical intervention. Nicotine is an alkaloid that in large quantities is included in tobacco based cigarettes. Also in a small, not dangerous amounts, it is in tomatoes, potatoes, sweet bell peppers. Recently, the nicotine is added to the liquid for electronic cigarettes that use people who want to quit Smoking. Lethal dose of nicotine for a person is individual, on average it is 40 to 80 mg. For children, pregnant women, the elderly it is much smaller. Below are the main causes that can cause acute nicotine poisoning. Acute poisoning with cigarettes in non-smokers develops when they attempt to start Smoking. This most often occurs during the consumption of alcoholic beverages and intoxication. The man, the body which are not accustomed to the daily nicotine intoxication, can poison several strong cigarettes. Poisoning electronic cigarette is possible with the use of substandard and counterfeit liquids for Smoking. Long stay in a smoke-filled room. Passive inhalation of tobacco smoke may develop signs of nicotine overdose. Overdose of nicotine can occur in people Smoking in case Smoking a few packs of cigarettes in a short period of time. Please note that the person who daily smokes more than a pack of cigarettes, has chronic nicotine poisoning. This condition is not manifested by pronounced symptoms, but is a dangerous condition for humans, which gradually kills the body. Acute nicotine poisoning develops while receiving high doses of nicotine over a short period of time. 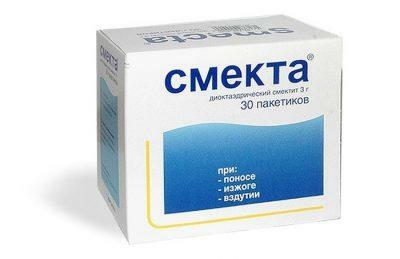 The person quickly there is a strong headache and nausea. The state of excitement alternates with lethargy. Below are the main signs of poisoning of a human nicotine. 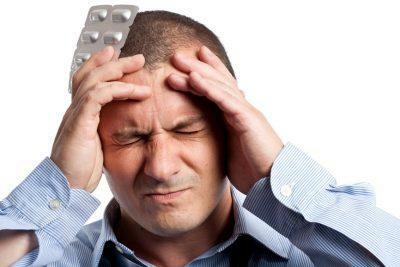 Acute and severe headache, accompanied by dizziness. Pale skin, blue lips, visible mucous membranes develops due to lack of oxygen in acute hypoxia. Nausea and vomiting – symptoms of acute intoxication. 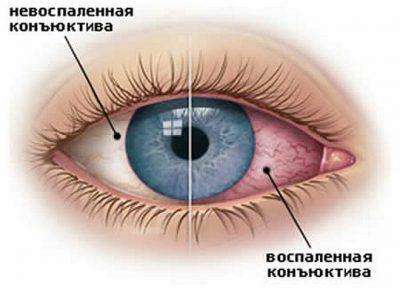 As a result of the intoxication of cigarette smoke and hypoxia of brain tissue suffering from lack of oxygen and nutrients. With the defeat of the vomiting center and raising intracranial pressure develops vomiting of Central origin. Vomiting seizures can develop without previous nausea. This vomiting does not bring relief and improved well-being. Impaired coordination. At poisoned man the gait is disturbed, it can bring to the side. Also develops tremor – shaking of hands and feet, which suffers fine motor skills. Changing breathing. The patient begins to breathe fast, shallow. Respiratory rate above 20 per min In severe cases develop acute respiratory failure. Hyperhidrosis (excessive sweating), hypersalivation (increased salivation), lacrimation. Profuse diarrhea, which is caused by the expressed intoxication syndrome. Please note that in the case of simultaneously receiving a body of very large doses of nicotine may experience impaired consciousness, in which the patient is loaded in a deep coma. a deficiency of vitamin C. Nicotine neutralizes and excretes ascorbic acid. As a result, the skin becomes flabby, start to lose your hair, break nails, teeth crumble. The body violated all metabolic processes. What to do with the development of acute nicotine intoxication? The first step is to call the ambulance. This condition is quite dangerous and treating it must be done by qualified doctors. Before the arrival of the brigade SMP can start to render first aid to the victim. Listed below are the main components. Print the intoxicated person from the premises where the air polluted by cigarette smoke. Put the patient in bed, cover him with a blanket and open all the Windows and curtains to maximize the going down of the fresh air. If the person complains of nausea and stomach pain, perform gastric lavage. To clean the stomach cavity at home, you need gulp to drink a liter of water and cause vomiting by pushing with two fingers on the tongue root. Give the patient to drink sorbents. If you suspect nicotine poisoning, you can use any preparations of this group, for example, activated carbon, sorbex, POLYSORB, APSCO, smectite. Before their appointment, check the expiry date of the medicine and read the instructions carefully. Sorbents will help to lower the intoxication syndrome. Drink poisoned water or sweet tea. The liquid will reduce toxicity and improve the condition. When disturbance of consciousness allow to smell the cotton wool moistened with ammonia. If she hadn’t helped to cause the feeling, put it on a flat surface, lift up to the top of the legs and turn his head to one side. Before the arrival of doctors monitor breathing and pulse. When they stop, proceed to chest compressions. First aid is the medical team SMP. They conduct a rapid assessment of intoxicated person, provide him oxygen through a mask, begin to administer intravenous drugs and fluids to decrease of intoxication syndrome and the regulation of heart function, breathing. After normalization, the condition of the victim he urgently hospitalitynet in the nearest poison control Department. People who are in critical and serious condition, being treated in the intensive care unit. In parallel to the treatment, carried out a detailed examination of the patient, which is aimed at objective estimation of state and identification of complications. Nicotine poisoning is a severe and dangerous condition that requires skilled medical care. With the development of the first symptoms, you should call an ambulance. Before arrival of physicians necessary to provide the patient fresh air, wash stomach, to give to drink sorbents and water. To self-medicate with nicotine poisoning is very dangerous and risky.